Today at Community Boating, we were treated with an unusual surprise. 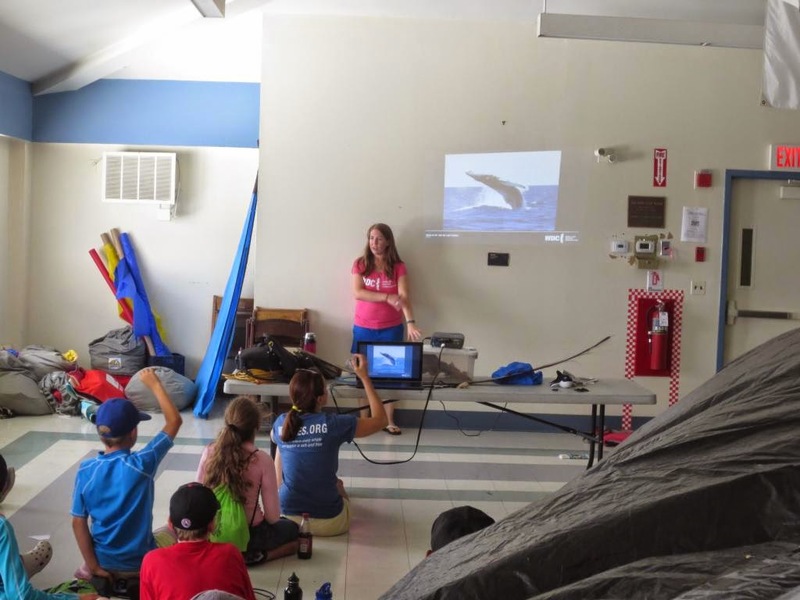 On today's agenda for the kids at Community Boating was a seminar on whales from the non-profit organization, Whale and Dolphin Conservation (WDC for short). This world-wide organization is tasked with raising awareness for the conservation of all whales and dolphins by educating the public, tracking and photographing whales and dolphins, and raising money to support various organizations. Today's seminar was presented by Monica, a representative from the Plymouth branch of WDC. 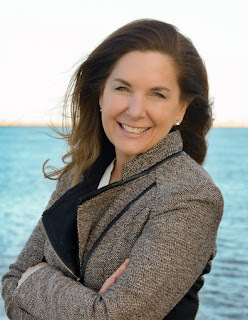 I became very familiar with Monica, her co-workers, and the organization in the past few years, because I volunteered at the WDC Plymouth office! Last semester of my senior year in high school I did a program called CSL or community service learning. In this program I was allowed to leave school early three days a week and go work in the WDC office. Much of my work included identifying individual whales through photographs, cataloging the sightings, and organizing the information on their online database. Everyone's packed in like sardines! While it was nice to reconnect with Monica, everyone (and myself included) was eager to hear the seminar. 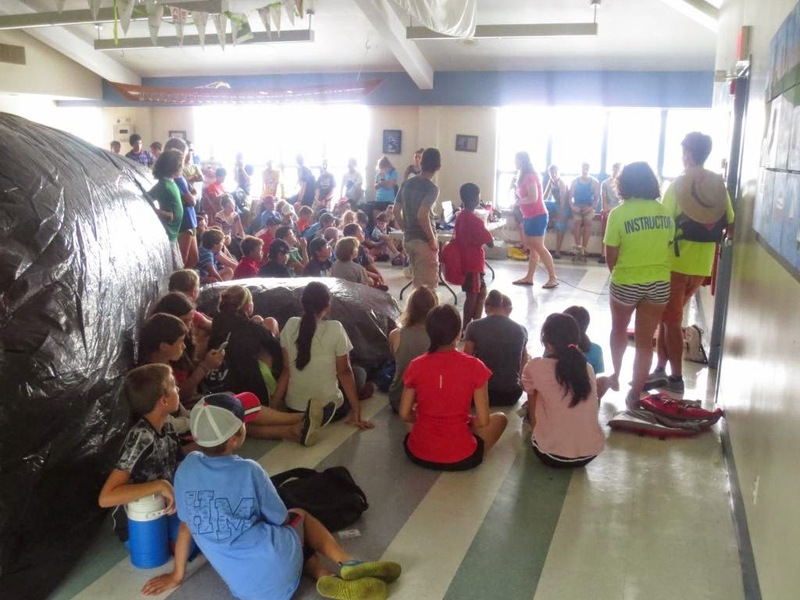 Jam-packed into the upstairs classroom, endless waves of kids came pouring in to hear what Monica had to say, and also to see Delilah, the 50 x 12 life-size, inflatable whale! After fighting with the kids to keep them out of crawling into Delilah, they calmed down long enough to allow Monica to do her thing. By the end of her presentation, just about everyone had had a question for her, and I saw that everyone had enjoyed the opportunity to learn something new. This was perhaps my favorite day at Save the Harbor so far. 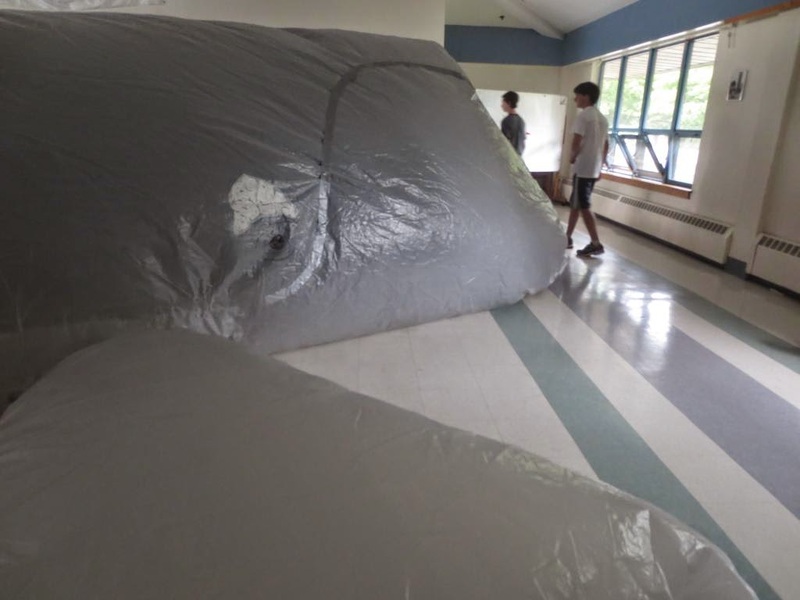 Two non-profit organizations were able to come together with similar goals, to educate any and all about the world we live in. While we are focused on cleaning up the harbor, WDC is concerned about the animals that live in and around the area, as there are frequent whale watch boats that go out of the harbor every day. I hope that in the future more opportunities like this will come up for Save the Harbor and WDC and perhaps other organizations that share similar goals.